The US election has come and gone and I really could not be more glad to be in China right now. Politics make me antsy and annoyed, not to mention that they bring out the worst in people. 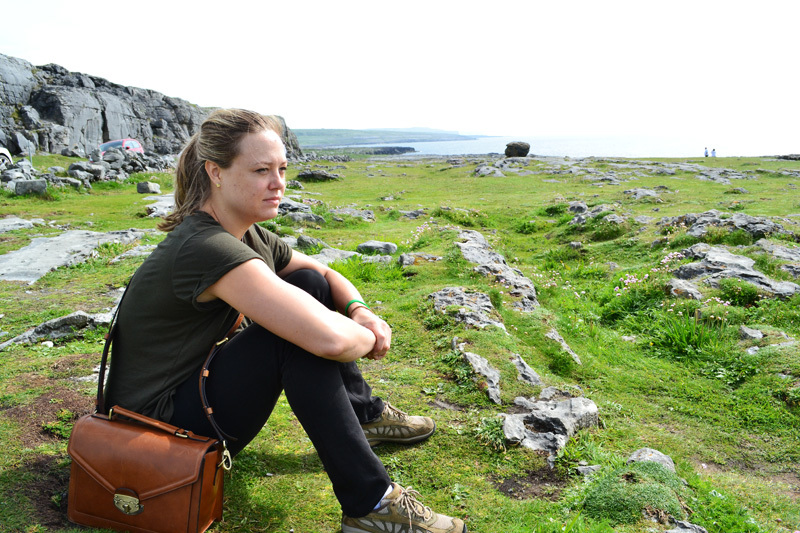 Do we really have to be a nation divided? Can’t we all just get along? 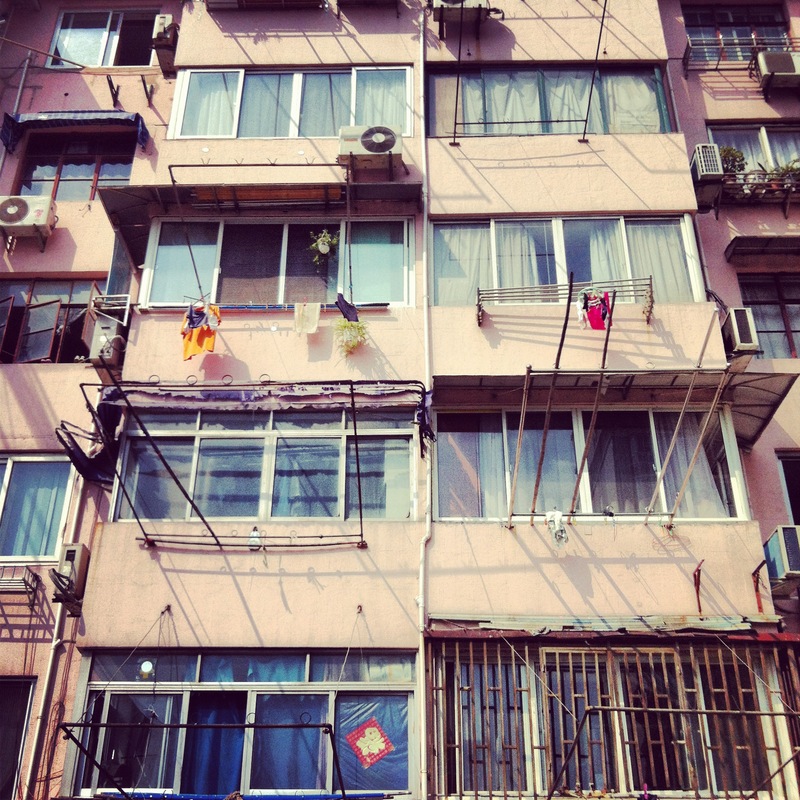 But really, it’s a good thing I live in China… it’s already communist. I pray that Obama does some good and improves the economy so I can come home at some point in the future. And still as always, I am proud to be an American! The friend who invited me to the Yuyuan Commodity Markets had signed up for a lunch exploring Chinese cuisine with the Shanghai Community Center but was unable to go. So she asked if I would like to go in her place. I said of course! So around 11am on Friday, I started the long walk from my apartment to the restaurant. The walk was long and warm which meant that I was sweating quite a bit once I reached the restaurant. 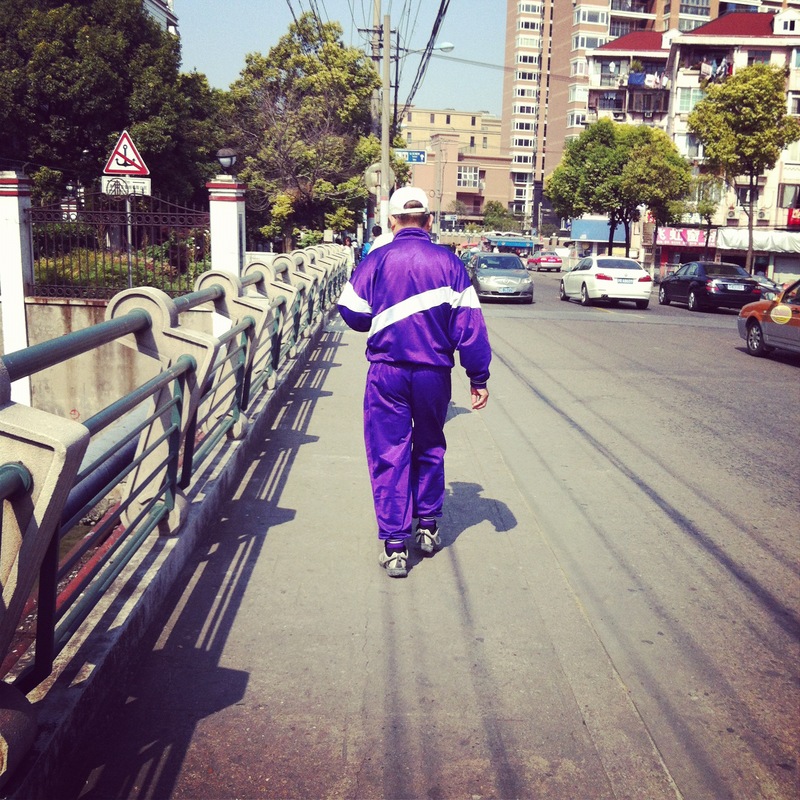 I was thoroughly entertained for quite a while walking behind this gentleman in a spectacular purple track suit. I have to say I was very jealous. What do you think, should I invest in a purple track suit of my own for training clients? At the restaurant, I joined 8 ladies and our leader Dana for a feast. The restaurant featured food from the Guizhou province of China which is a mountainous region known for their fond use of chili peppers. 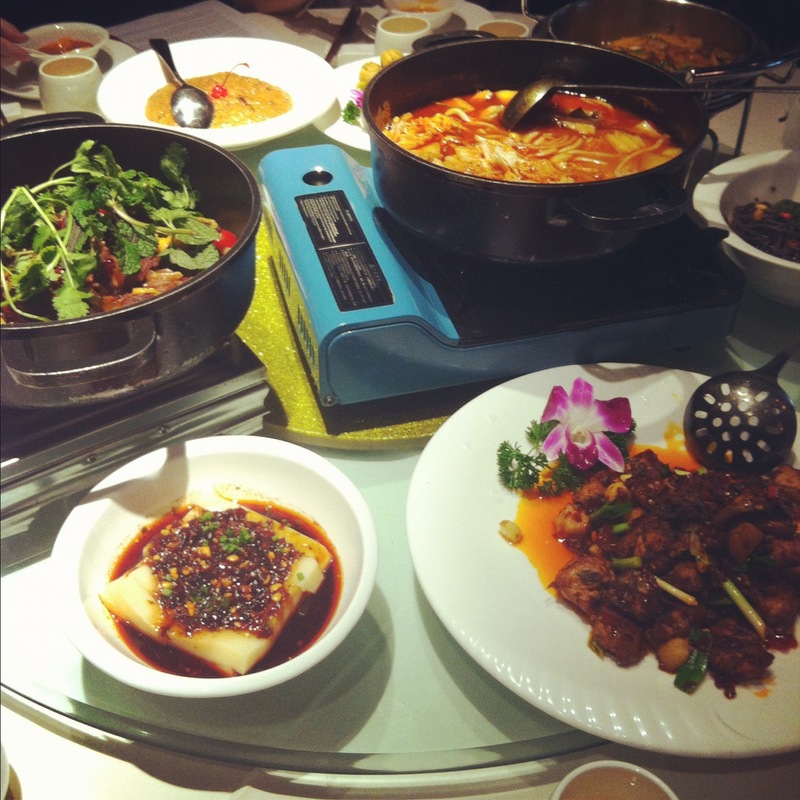 Dana is from Guizhou and explained each dish thoroughly before passing it around the table. Some of the most notable and delicious dishes were the steamed millet, fern root noodle, and crisp skin red kidney bean. The steamed millet was my favorite and is made with pork, brown sugar, and salt. It has firm and sticky texture with a distinct sweetness that makes it more like a desssert. I could eat this for breakfast everyday. Every dish was prepared with either chili pepper, chili oil, or chili bean paste which meant I was sweating throughout the entire lunch. I do not handle spice very well. Most times I end up inhaling the spice which results in a coughing fit. While I enjoyed the food, next time I will ask for mild. The most interesting part of the lunch was when Dana ordered us a special dish of plant roots known as “dead fish”. Apparently people liken the taste of this root to dead fish (although though the fish you eat is already dead…). Either you love it or you hate it. Well I loved it. The roots looked like white twigs and were savory with a crunch and of course a lot of spice. Overall it was an educational and sweat-inducing lunch. I enjoyed learning about the origin of the food as well as the actual ingredients and preparation. Plus, I enjoy food period.